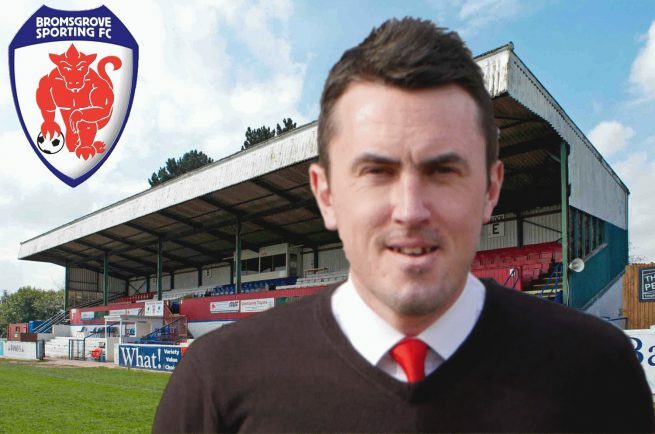 PAUL SMITH has urged his Bromsgrove Sporting players to keep their feet on the ground ahead of this weekend’s FA Cup tie against Heath Hayes. Sporting go into Saturday’s extra preliminary round clash at Cannock-based Heath Hayes on the back of an impressive 2-1 victory over Northern Premier League outfit Halesowen Town on Tuesday night. Goals from Chris Lloyd and Sean Brain ensured Smith’s Rouslers walked away with a 100 per cent pre-season record. Despite their sublime pre-season form, which has included victories against Sporting Khalsa, Walsall Wood and Stratford Town, Smith is adamant his players must not get too carried away if they wish to progress to the preliminary round for a third successive year. He said: “The players are brimming with confidence but it’s a matter of keeping their feet on the ground. The squad I have built here is capable of doing great things but there’s still plenty of room for improvement. “As silly as it sounds, I expected this group of players to perform so well against higher opposition. I have a group of very good players for this level of football but it was all about getting them to gel and come together as a group, both on and off the pitch. “It amazes me that in just a short space of time they’ve managed to do this, I’m over the moon with the squad togetherness. Sporting go into Saturday’s clash missing four players as Aaron Roberts and Keenan Meakin-Richards are suspended for two and four games respectively, midfielder Robbie Bunn is on holiday while first choice keeper Chris Jay is also on holiday. In Jay’s absence, 40-year-old experienced stopper Neil Leech who has impressed Smith over the last few pre-season games is to fill the void. “We’d have liked a home draw but we’ll be going over to Heath Hayes to beat them, likewise they will want to roll us over” Smith added. “I believe I have improved this squad from last season greatly and they’ve performed so well all pre-season, it’s exactly where I want them to be.